So, now that we're all awake and alert, I can list all my excuses for not having posted in, um, a while. 1. I was in-country on a secret mission. 2. I was out of the galaxy on a secret mission. 3. I was out of my mind on a secret mission. 4. I was out of order on a secret mission. 5. I was out to lunch on a secret mission. Having supplied a surfeit of incontrovertibly believable excuses, I will now wrench your attention towards my latest knitting effort--the Crocus Shawl. This piece was knitted with Malabrigo lace yarn (Amoroso colorway), to ensure that it will be especially warm and cuddly for my friend Kyoko-san. 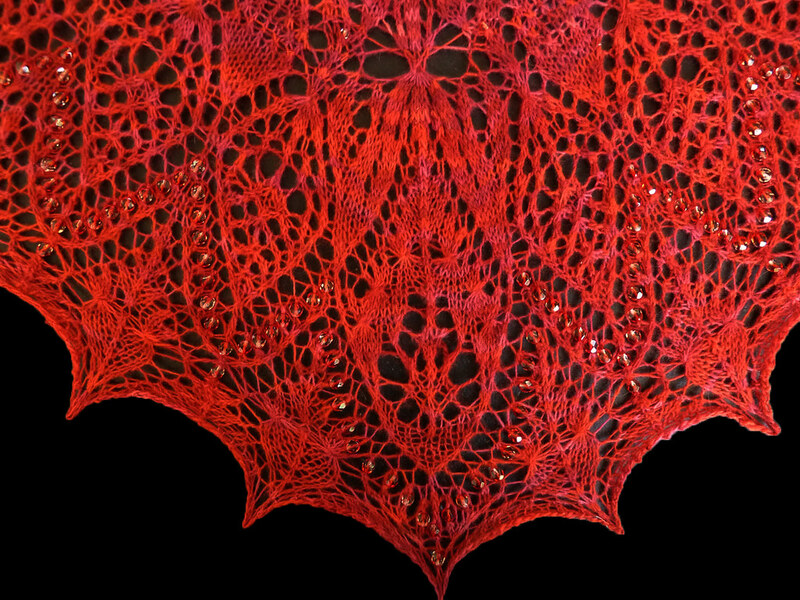 If I were to knit it again, though, I would use a finer yarn and larger needles to better emphasize the complicated patterns. And, as you can see, even slight variegation caused the pattern to buzz a bit--a plain color would be a better choice. 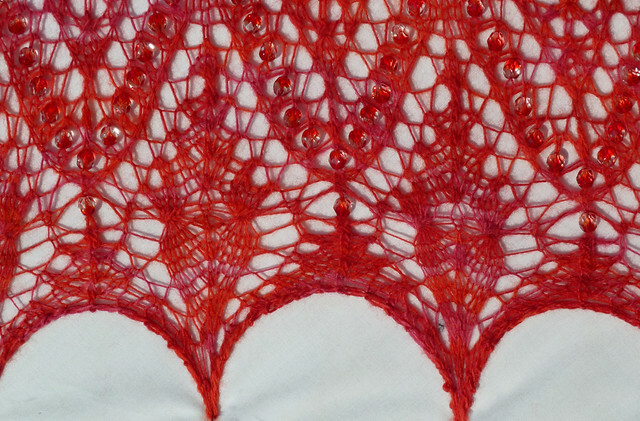 I have decided that large, glittery crystal beads are fun and blingy, I used a profusion of them in this shawl--4mm roundelles on the nupps themselves (yes, the pattern features beaded nupps) and 6mm roundelles on the border. They make the shawl a bit heavy, but also cause it to drape nicely. 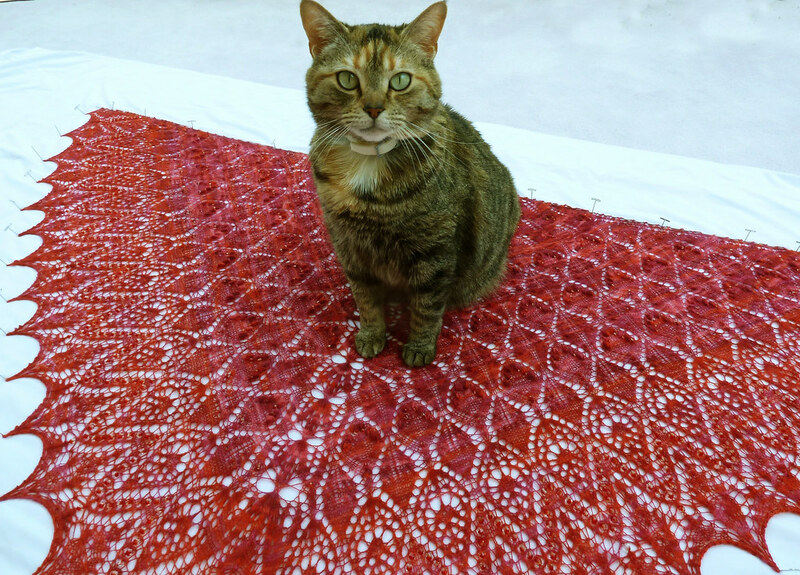 The reason that this shawl took months to finish is because I am clearly unable to correctly place a bead order. I first ordered 6mm beads for the nupp section, but those were too large, so I revisited the Fire Mountain Gems website and ordered what I thought were the correct number of 4mm beads, but naturally, my calculations were, erm, imperfect, and I then had to order two more packets to finish that section. 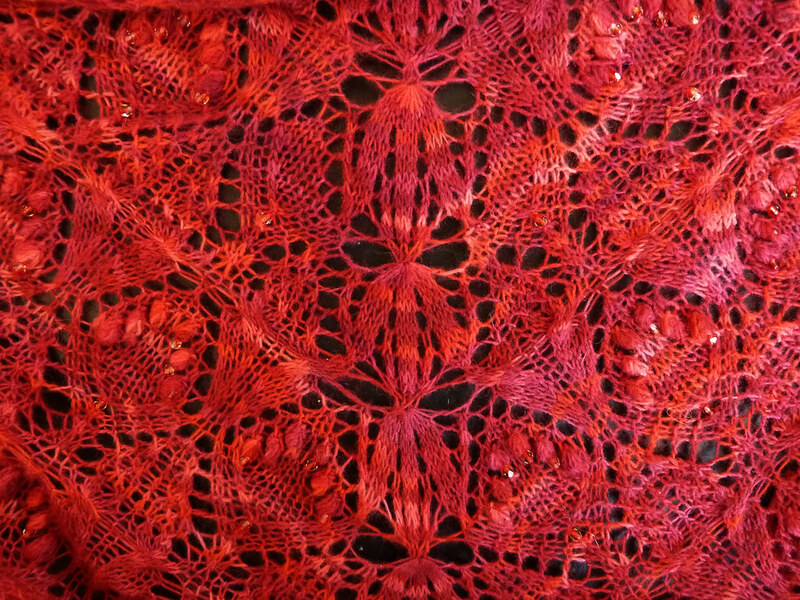 Placing a bead order before finishing my morning coffee turned out to be a bad idea, because when the new shipment arrived, they were 8mm...and well, it took a week for each bead order to arrive so this shawl just went on and on...you get the idea. The people at Fire Mountain are likely convinced that a certifiable nutball lives at my address, but they keep sending me catalogs and free stuff like pens and magnifying glasses anyway. 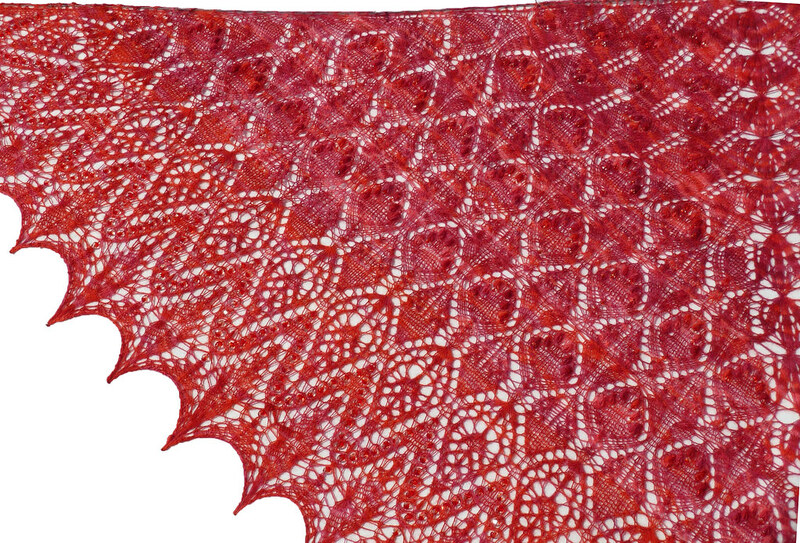 All's well that end's well, and I am now planning to knit Tiziana's lovely Meridiana shawl. Ooo, it has nupps, so I'm working on the bead order, which will, of course, be the wrong color, wrong size, or wrong quantity. As I have often said, consistency is important.